Members of China's 34th Antarctic expedition held a ceremony yesterday to celebrate the ship crossing the Equator onboard China's research icebreaker Xuelong. 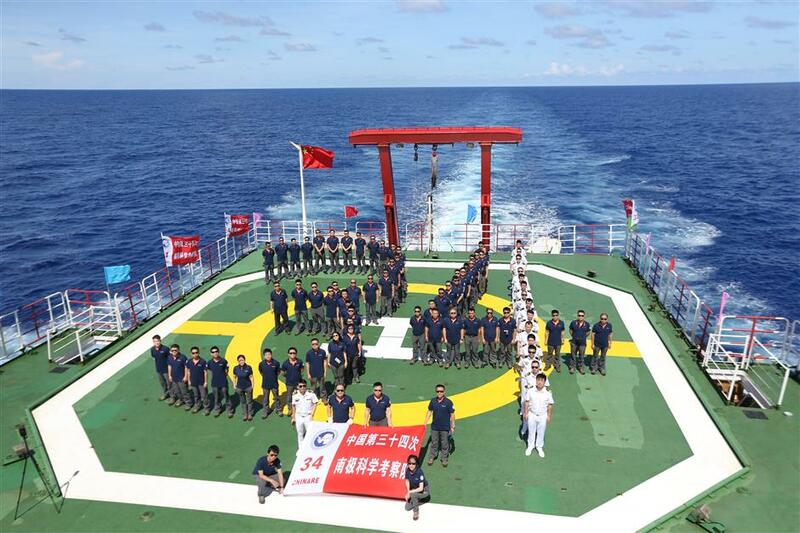 Members of China's 34th Antarctic expedition hold a ceremony to celebrate the ship crossing the Equator onboard China's research icebreaker Xuelong, Nov. 15, 2017. China's research icebreaker Xuelong set sail from Shanghai on Nov. 8, beginning the country's 34th Antarctic expedition. 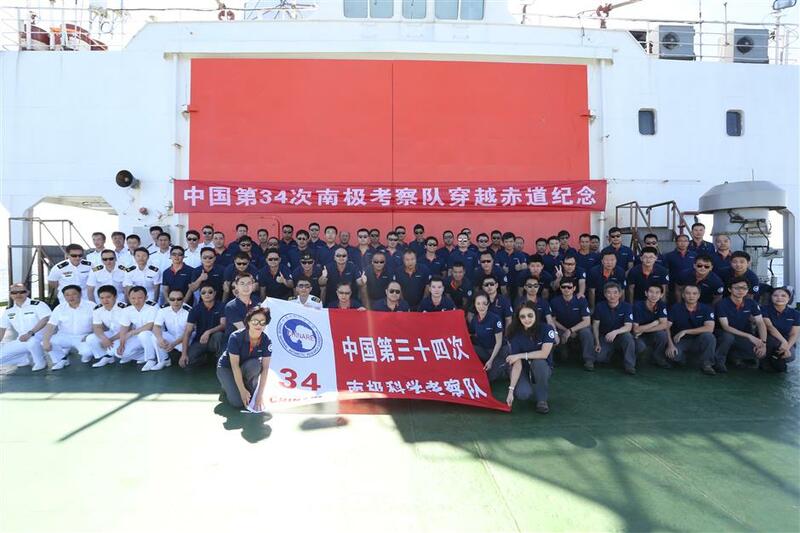 Members of China's 34th Antarctic expedition pose for photo during a ceremony to celebrate the ship crossing the Equator onboard China's research icebreaker Xuelong, Nov. 15, 2017. China's research icebreaker Xuelong set sail from Shanghai on Nov. 8, beginning the country's 34th Antarctic expedition. 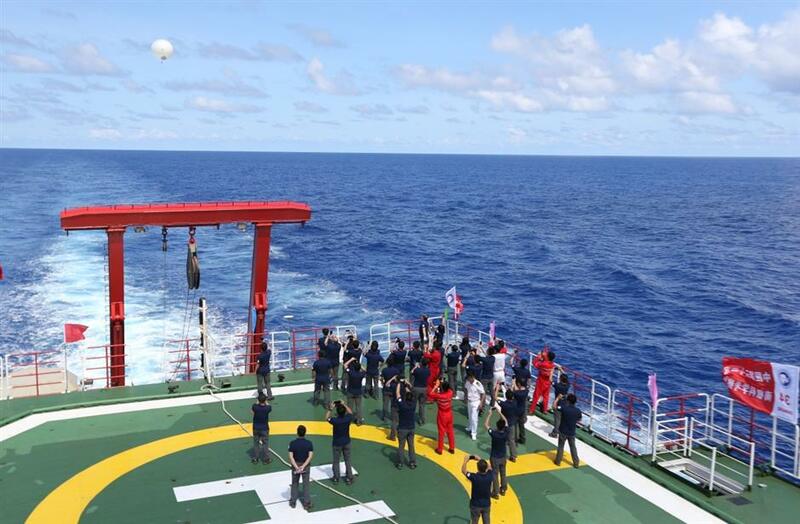 Members of China's 34th Antarctic expedition let fly a balloon during a ceremony to celebrate the ship crossing the Equator onboard China's research icebreaker Xuelong, Nov. 15, 2017. China's research icebreaker Xuelong set sail from Shanghai on Nov. 8, beginning the country's 34th Antarctic expedition.